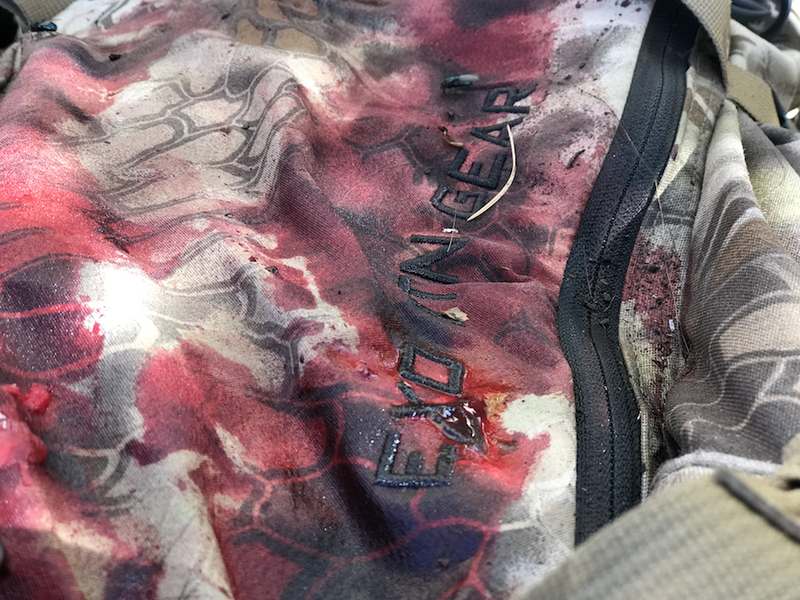 There’s nothing worse than pulling out your hunting pack for your next hunt and finding that it smells like rotted meat and is stiff as a board. It’s easy to throw that pack aside with all the excitement of harvesting an animal only to forget it until weeks or months later. Spraying it off with a hose or even pressure spraying it just isn’t enough, especially after a substantial amount of time passes. 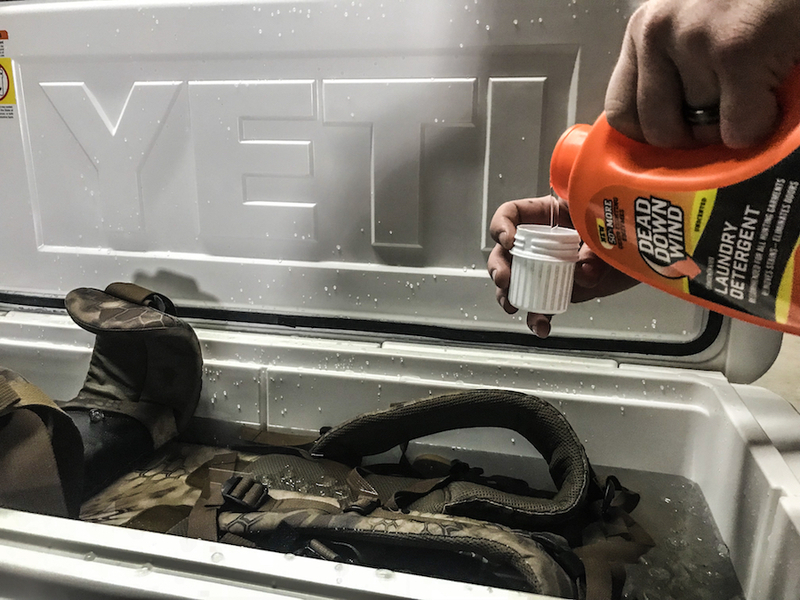 You can’t throw a pack with a frame into a washing machine either, so the question is, how do you properly clean your hunting pack? Leaving a pack bloody and filthy will shorten it’s life. The first step in the cleaning process is to simply get the loose debris out of your pack. You can usually get most of the debris out by simply taking the bag off of the frame, open all of the pockets and then giving it a few good upside-down shakes. If your bag doesn’t come off of the frame, then shake the frame and bag the best that you can. Another trick is to go to a car wash and use the free vacuums. For bigger chunks of blood, meat etc., it may also be useful to use a pressure sprayer before the next step. Next, get a big plastic tub, or in our case we use the biggest Yeti Cooler that we have, and fill it with water and two ten-pound bags of ice. 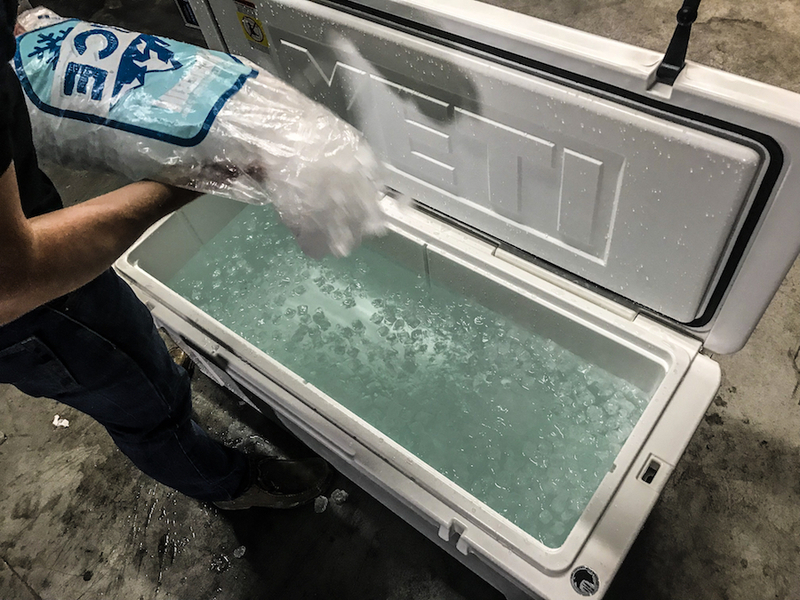 Ice is key in getting the blood out of your pack, don’t skimp out and use cold water by itself, trust us, ice is the secret ingredient! You can also use a bath tub for this process, but we are going to take a wild guess and say that your wife wouldn’t appreciate a bloody, stinky tub. 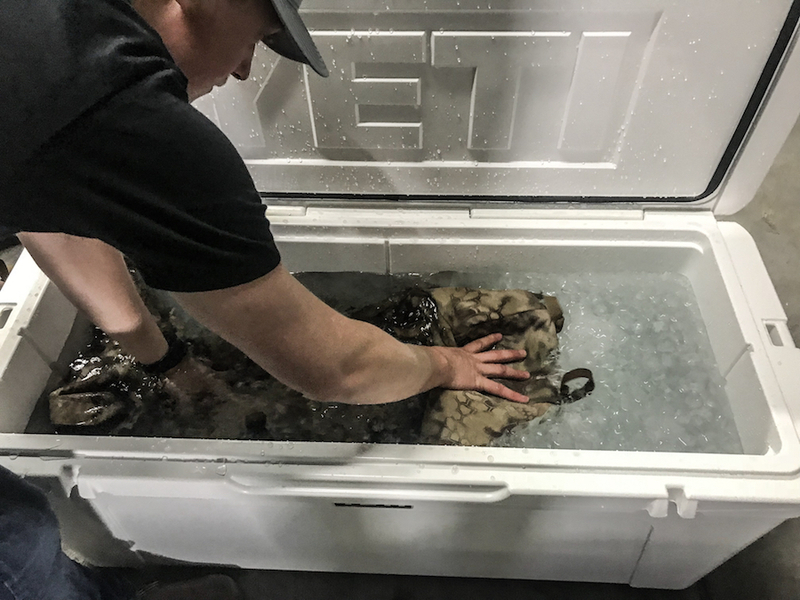 Let the pack sit for about 30 minutes in this ice bath to allow the water to penetrate the caked-on blood and dirt. In this cleaning process there is no need to go get a brush and scrub. The ice water will pull the blood right out of the pack so all you need to do is massage and squeeze the material and you will see the blood melt right off and settle in the bottom of the tub. Dump the bloody water out and fill the tub back up with clean ice water. Any blood that is remaining in the pack will come out with little effort. If you decide you want to use detergent use a mild one, we suggest using Dead Down Wind detergent. Gently massage the soapy water into the fabric of your pack and let it soak for 15-20 minutes. Rinse it off with some fresh clean water and you are just about done. Don’t be the guy that tries drying it off with his industrial heater and ends up melting the material or lighting it on fire. Just allow it to hang dry and it will be just like new the next day. 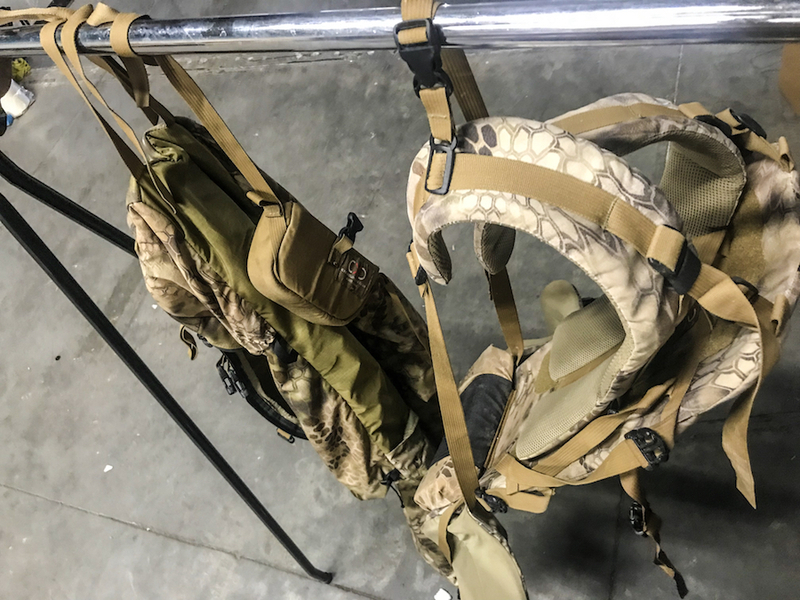 We suggest immediately cleaning your hunting pack after each time you haul an animal out to keep the zippers and buckles in good working order and keep odors to a minimum. 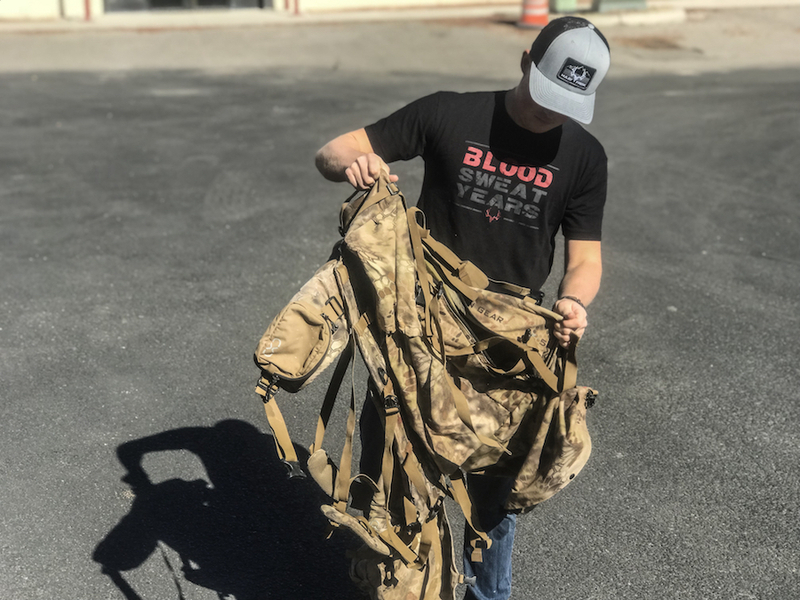 A good hunting pack isn’t cheap, make sure to follow these 5 steps and clean your pack after each haul to keep your investment in good working condition. 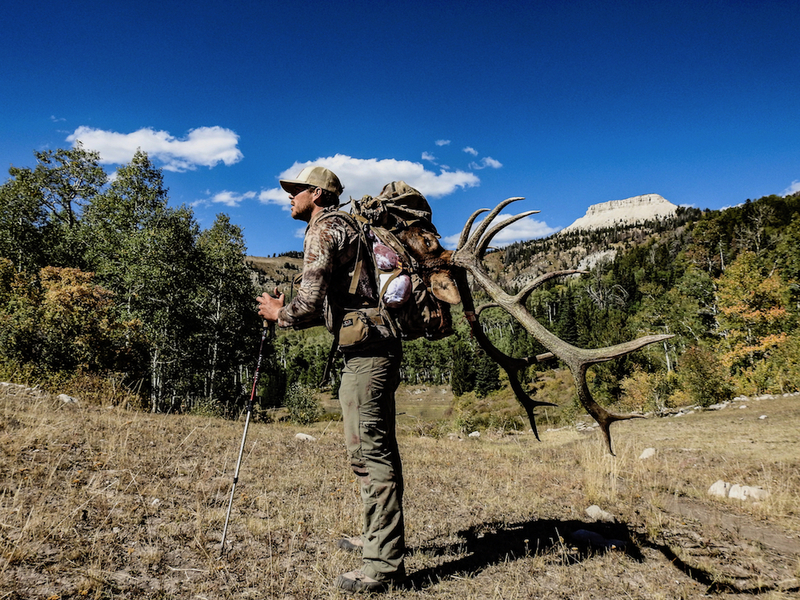 After all, a good hunting pack can make all the difference in the world when you have that giant buck or bull down deep in the backcountry.